Hey y’all! I found an outfit from October that I never managed to get posted, so I thought I’d share it with today’s awkwards and awesomes! I wore this when my two best friends took me out to celebrate my 21st birthday in Nashville. Trying to carry on a sort-of conversation over the rattling of a passenger van going over massive potholes. Not knowing for sure the rules of the road when less-than-frequent circumstances arise. Like, do you pull over for an ambulance going the opposite direction when you’re two lanes over from it? When you’re the first car in a carpool and the second car turns off with no cell phone, do you turn around and go find them? Do you wave at cops you pass? I have finally learned to recognize a funeral procession and know to pull over for that. Your mom having to tell you to calm down as the nurse is putting an IV in your arm. I was not thrilled. Feeling like everyone is looking at you when you’re taking pictures during a service. When you’re talking with a group of people and tell an on-subject short story from your week and the second you end someone else completely changes the subject and nobody responds to what you said. Working on your laptop in the driver’s seat while waiting for siblings at music lessons. Even with the seat pushed all the way back, the screen is still at an odd angle because of the steering wheel. When typing your hands are in the T-Rex position up close to your stomach. You know, cause changing seats would be too much work. How badly you want a piece of chocolate, but you picture the little cocoa and sugar molecules tearing up your gut so you restrain yourself, even though every hormone in your body is telling you to pig out. Walking into a store to look around even though you know you wouldn’t be able to afford anything in there. Like, when my friends took me out for my birthday, we went into Two Old Hippies in Nashville. Awesome stuff, but not very budget friendly. Or when I went into a Coach store on the Champs-Elysee in Paris where they had security guards and everything. I mean, I felt like I was going to be brought in for questioning just for looking at the bags from 15ft away. Conversations about breeding sheep, especially when it’s a bunch of ladies trying to be polite. Having to use a ladder to wash the doors leading to what used to be the back deck. We had workers chop off the part of the deck I’m standing on in these pictures, so the big glass doors go to nothing now. But they have the nerve to still need washed. Having to find enough change in the car and three purses to pay the parking meter. Like, who carries quarters anymore? The games we played during fellowship this week at church. It’s pretty fabulous to watch your parents squash an ornament between their lips and walk over to a clothesline and hang it there, all without hands! Hearing a friend’s courtship story again and being overwhelmed with just how amazing God’s plans are. Being on an auto-immune paleo diet as a family. It’s not too different from how we usually eat, except with more sauerkraut and bone broth and much less sugar. Feeling a little better each day! My mind isn’t as foggy as it had been but my body still tires easily. So, y’all get a lot of blog posts as I sit here. lol. Beautiful 50* days to break up weeks of winter temperatures. Finding new pandora stations to groove to. What are your favorites? These Autoimmune Paleo Raspberry Thumbprint Cookies. I’m about to go make another 4 batches. My sister selling her Emma’s Gluten Free Baking Mixes in a store! If you’re ever on your way through Centerville, TN, stop by the Wild Duck Soup Emporium and get some to try! Getting into a new habit of drinking tea and reading after 10pm instead of watching a movie or scrolling through Pinterest. There’s something freeing about realizing I don’t have to be in front of a screen all the time. Ladies’ Bible Study every other week. We’ve been going through this study and I’ve been so encouraged. Babyshowers. Chubby cheeks, pompoms, striped straws, chocolate milk, mustache pacifiers, and games! This skirt I made using my Destination Skirt eBook pattern. It’s the basic pattern, I just left out the front godets to give it a slimmer cut. I had fun distressing it with sandpaper, a knife, and heart-shaped cookie-cutters! It’s been my favorite skirt for many months now. Hair curling technique: YouTube tutorial here, although I have now switched to a curling rod. Hope y’all have had a great day! What’s been awkward or awesome about your week? Hi Olivia! Awesome: Joining Pinterest and discovering a whole world I've been missing. Awkward: Having two people tell me that I have chalk or lint on my jacket in one hour. What does the "Auto-immune paleo diet "consists of? I really like the outfit your wearing, especially the skirt! I still can't get over that you actually made that! I'm not a crafty person, so it would take me a year to make a skirt, and probably wouldn't look close to that! 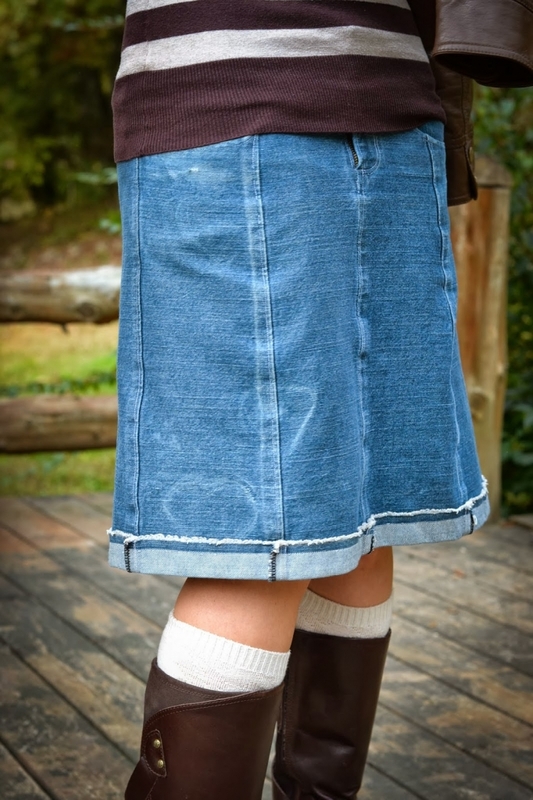 LOL Do you always make your denim skirts? I don't own one denim skirt, and I know how much I'm missing; but the problem is that I can't find a jean skirt anywhere! 🙁 Do you have any suggestions? Hey Ashley! Haha! I do make most of my denim skirts, but I've found some recently at thrift stores from brands like Ann Taylor and Cato. Unfortunately I don't know of any great sources for denim skirts right now, sorry! Blessings! 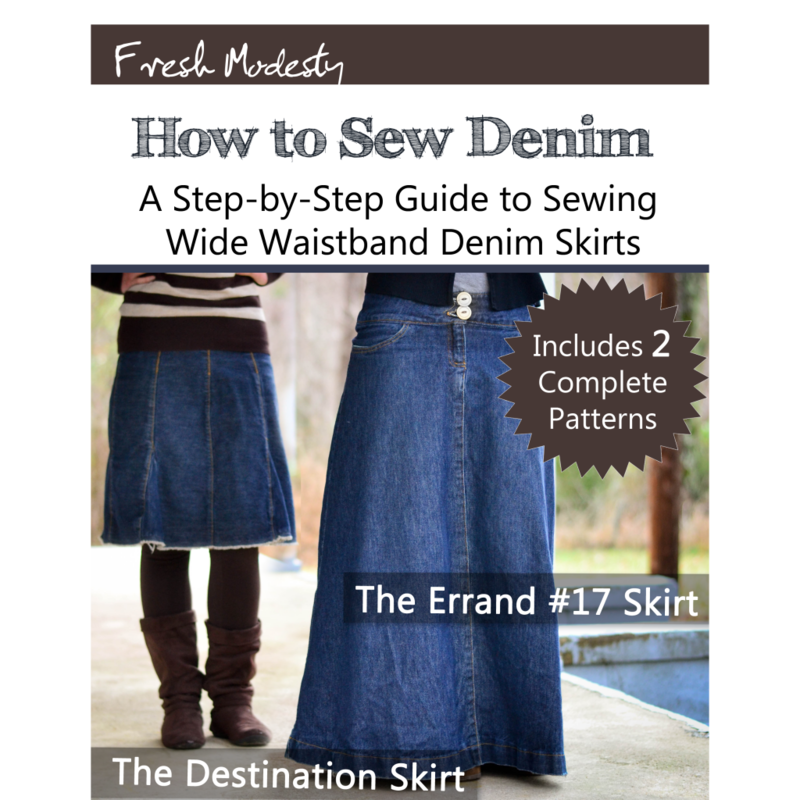 Here are some places for pretty and high quality and modest denim skirts. 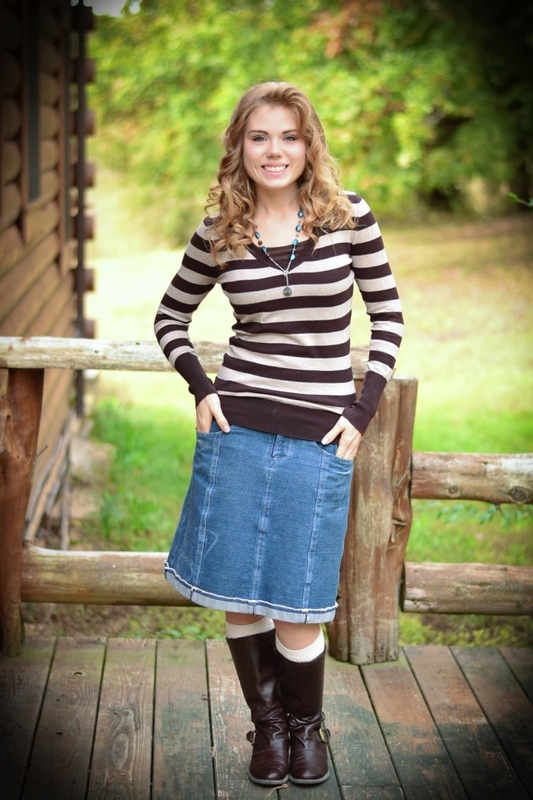 http://www.denimskirts.com and http://www.theskirtoutlet.com. So cute! I love these kinds of outfits, as these are my style. Good job! This outfit is amazingly cute and fun! I just love the casual "put-togetherness" of it. :) You look very pretty! Adorable outfit, as always, Olivia! Awesome: buying my second car!!!! Awkward: realizing that I'd prayed that no one would answer my Craig's list emails if the car wasn't for me….forgetting that prayer and having my dad get irritated because nobody answered our emails….thanks God for having a better memory than I do! Hey Olivia! I love how you can come up with outfits that are casual and yet still cute and feminine. It would take me forever to think up an outfit like that, but you have definitely given me some inspirations! Awkward: My best friend and I are out shopping when her mom calls to tell her the ceiling in her bedroom has collapsed and all her stuff is ruined. We stare at each other for a second in silence, then make spectacles of ourselves by doubling over laughing in the middle of the busy checkout line. Adore everything about the last photo! Esp. the earrings and necklace. It really brings out the colour of your eyes. You look adorable in the first picture!! 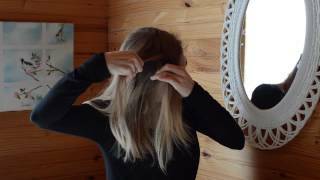 And I love how you curl your hair! Is your sister selling any necklaces like the one you have on? I love the necklace, top, & skirt. Thanks for posting Olivia. ~ Sarah C.
QUOTE: "Awkward: How badly you want a piece of chocolate, but you picture the little cocoa and sugar molecules tearing up your gut so you restrain yourself, even though every hormone in your body is telling you to pig out." You have just been tagged!